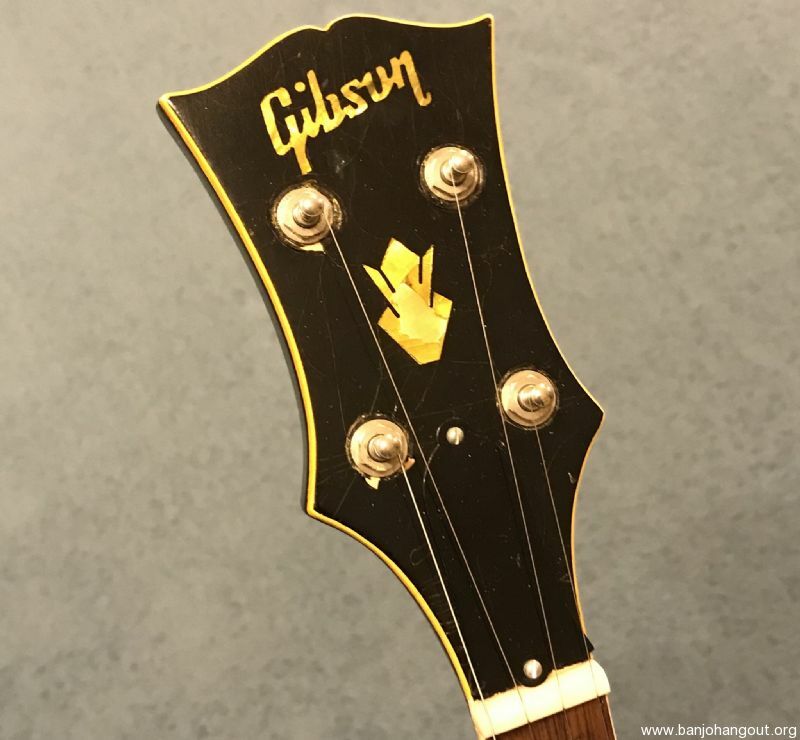 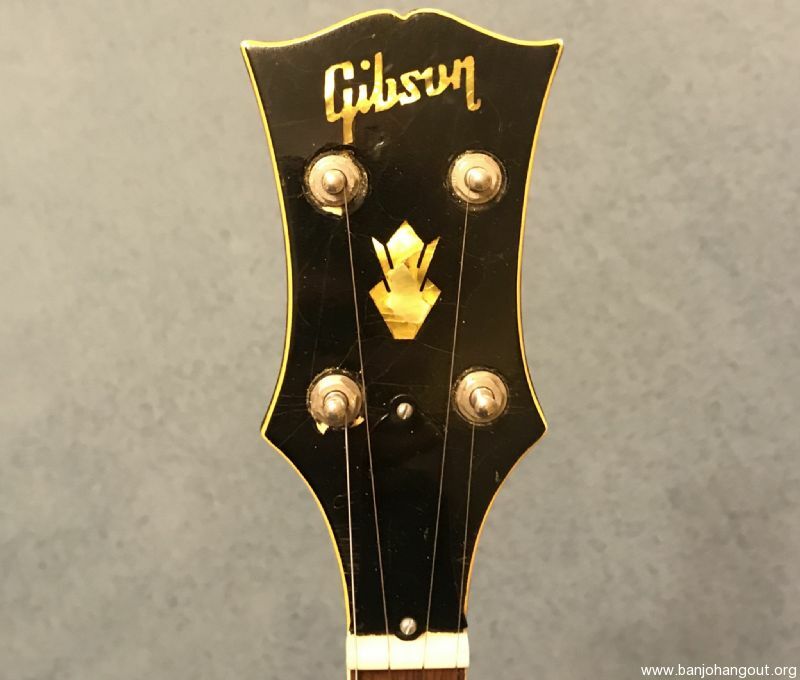 According to the serial number 948836 this Gibson dates to 1967. 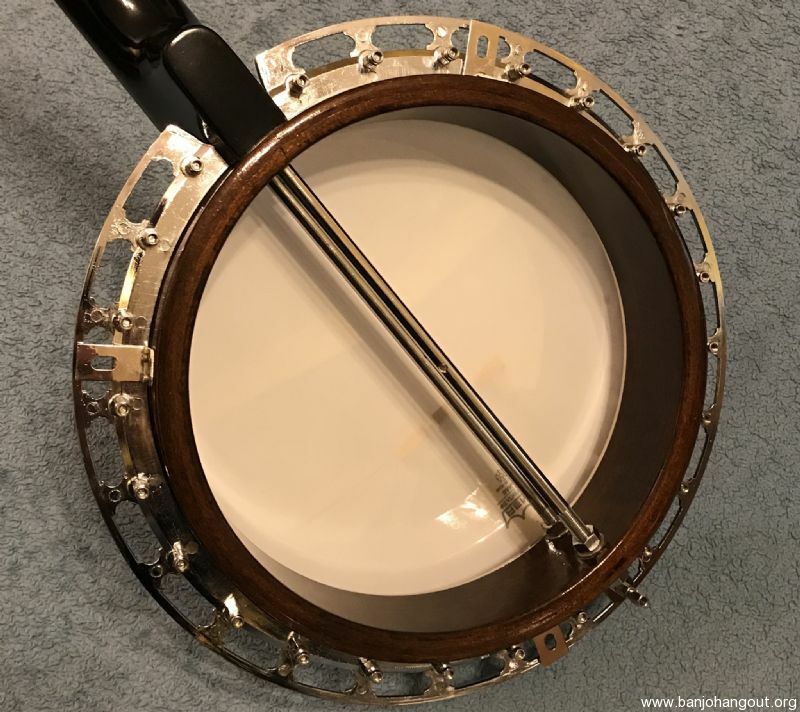 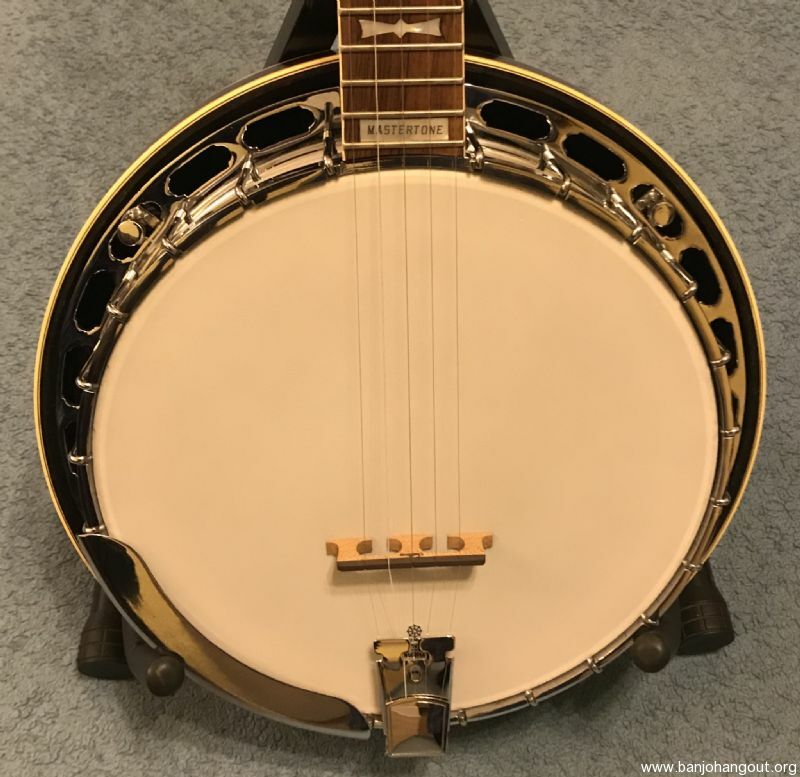 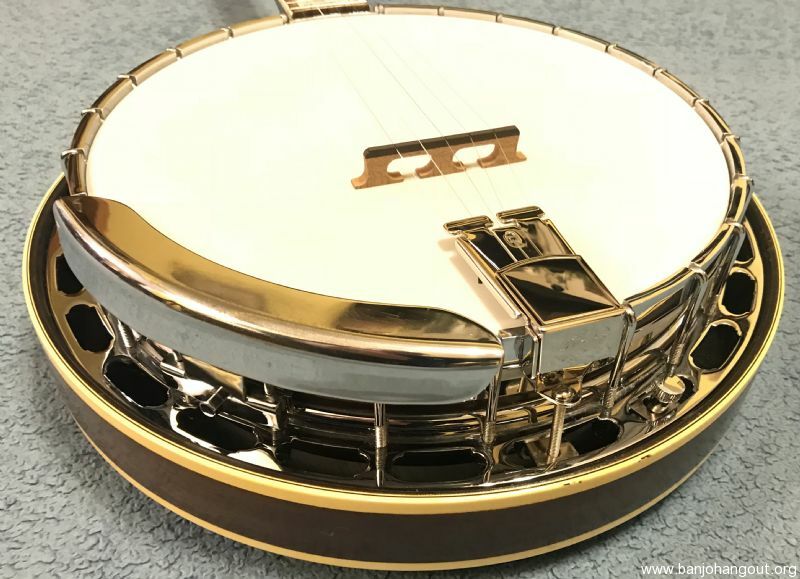 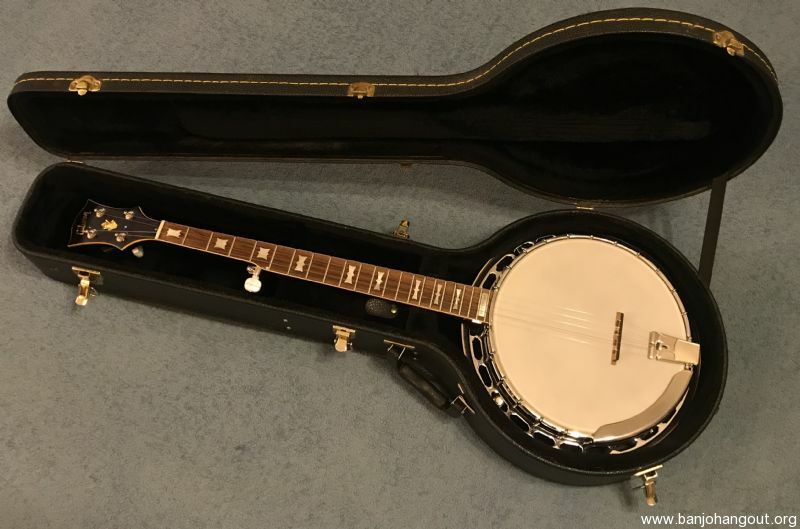 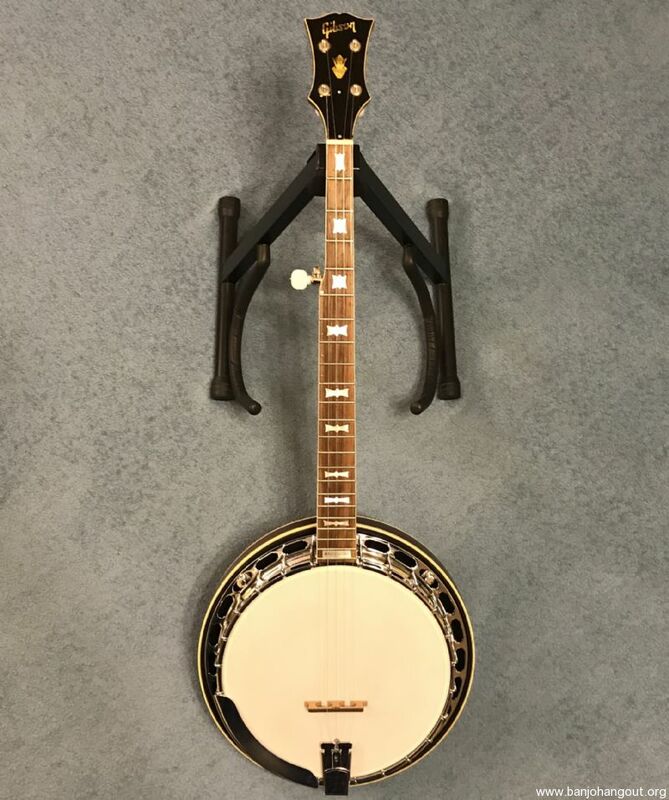 This banjo has all of its original chrome plated hardware and an added Presto tailpiece. 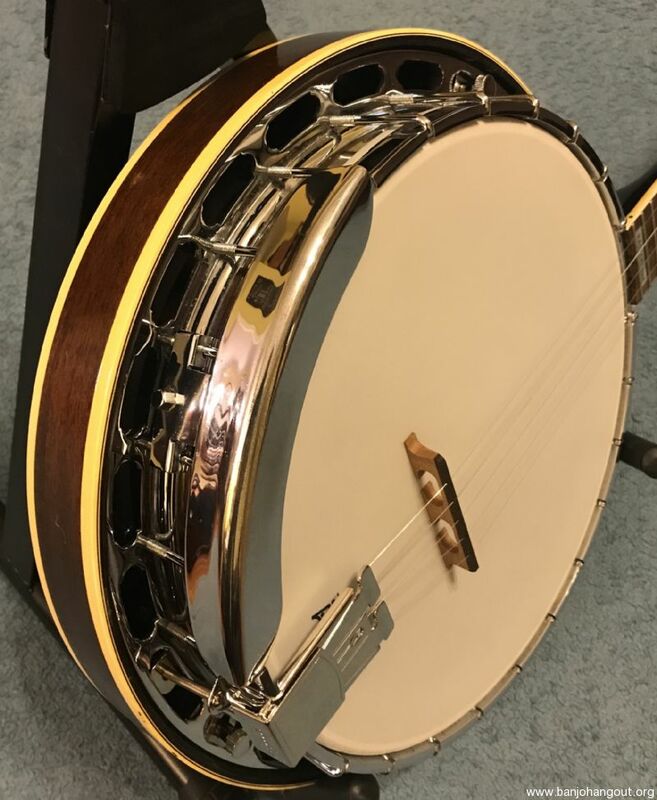 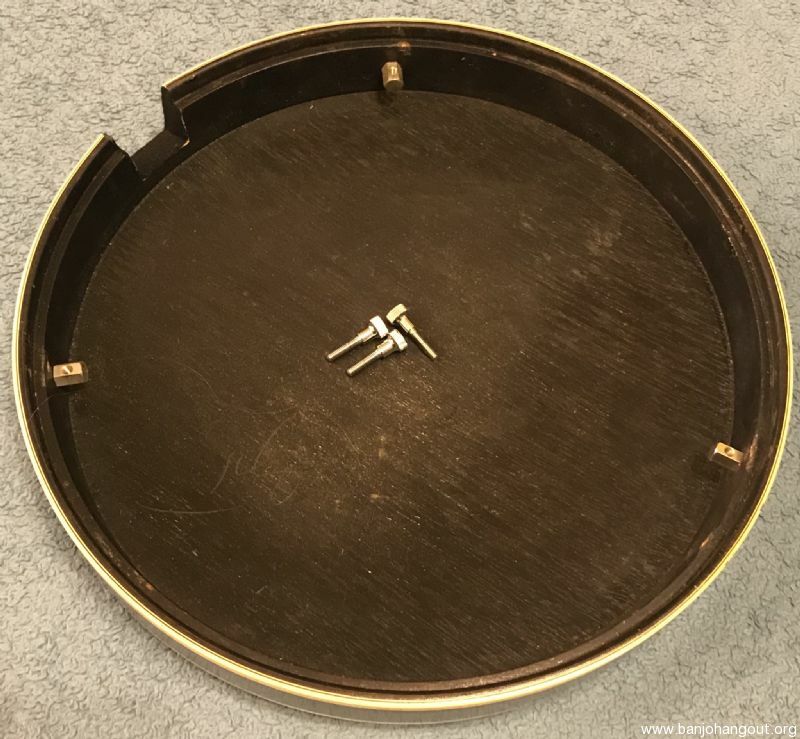 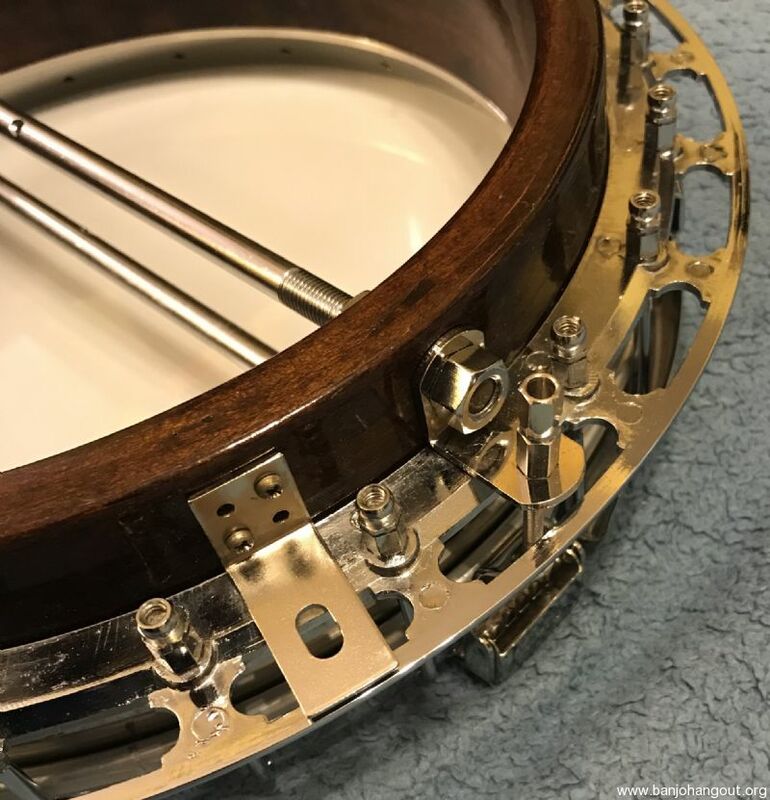 The rim is a full thickness 3-ply maple and has been fitted with a long skirt Sloan 20-hole flathead ring serial #1217. 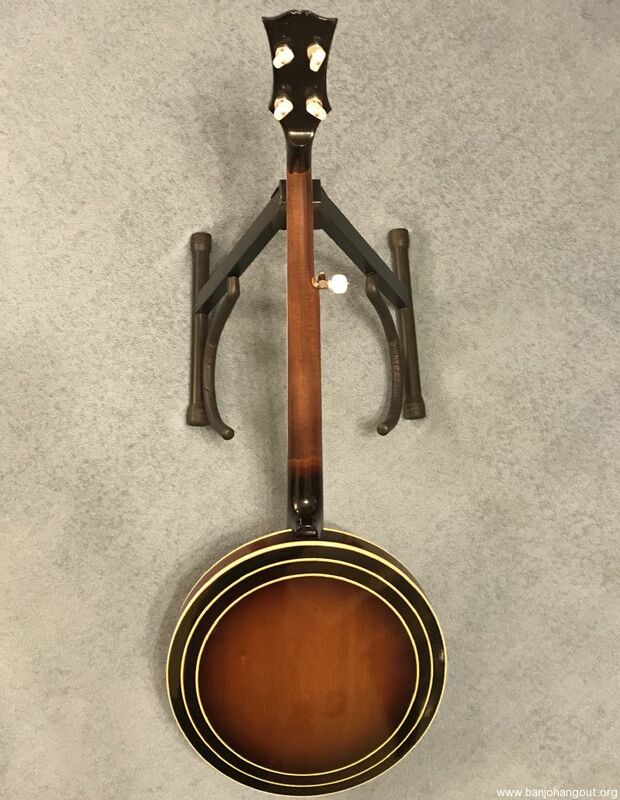 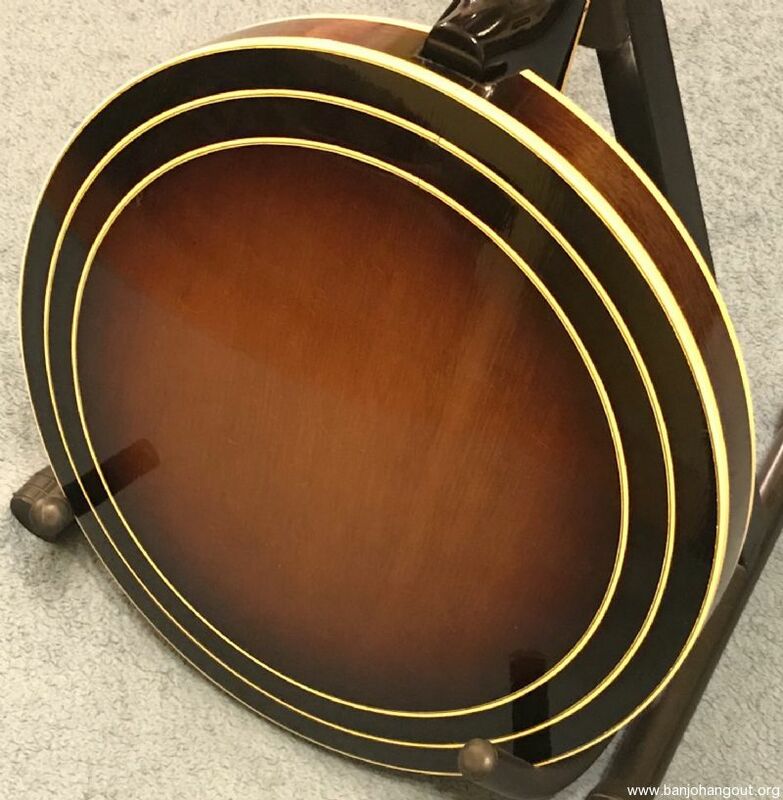 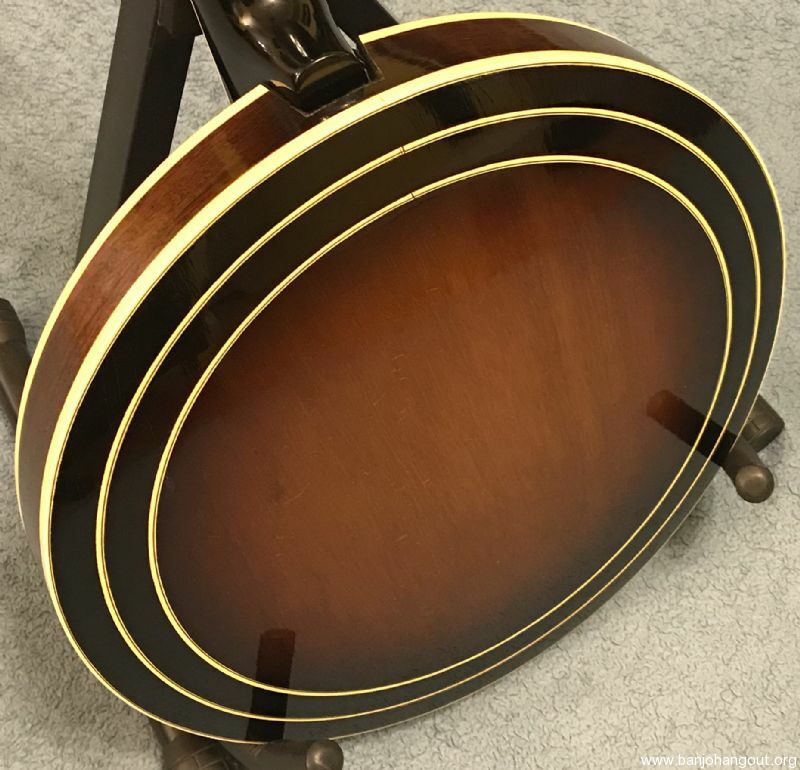 Usually a late 60's Gibson has a thin rim and bulky neck but that's not the case with this one. 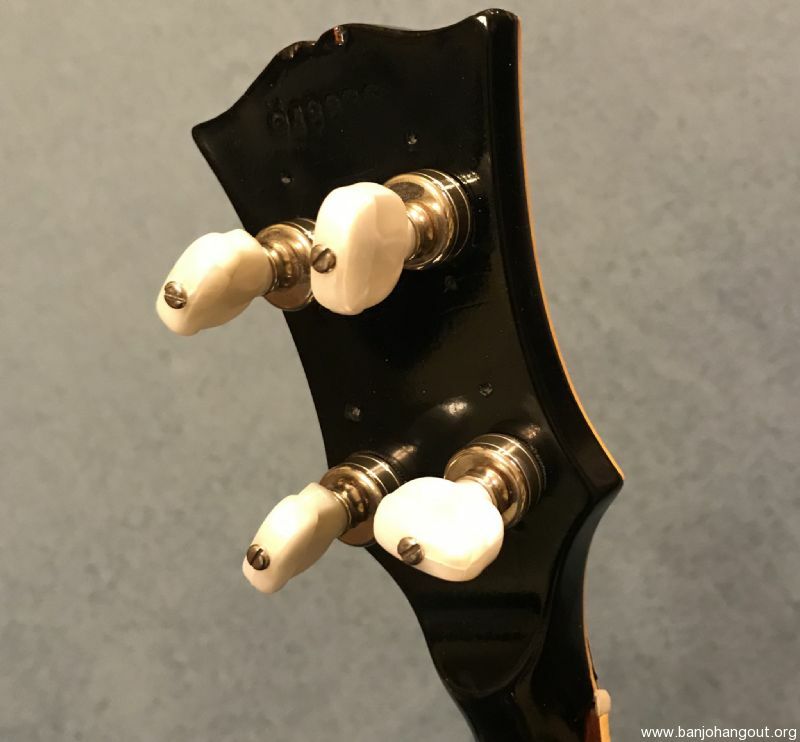 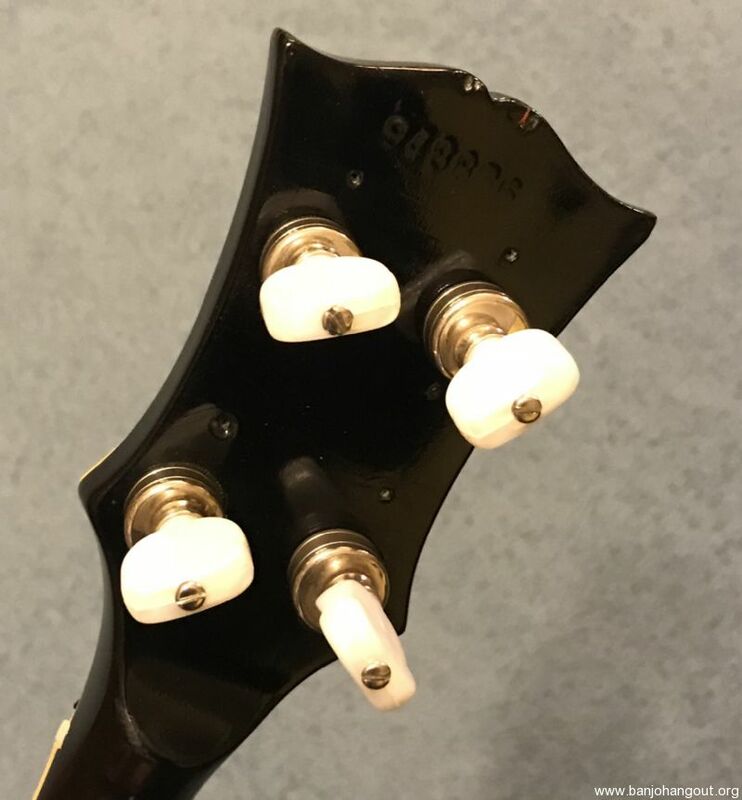 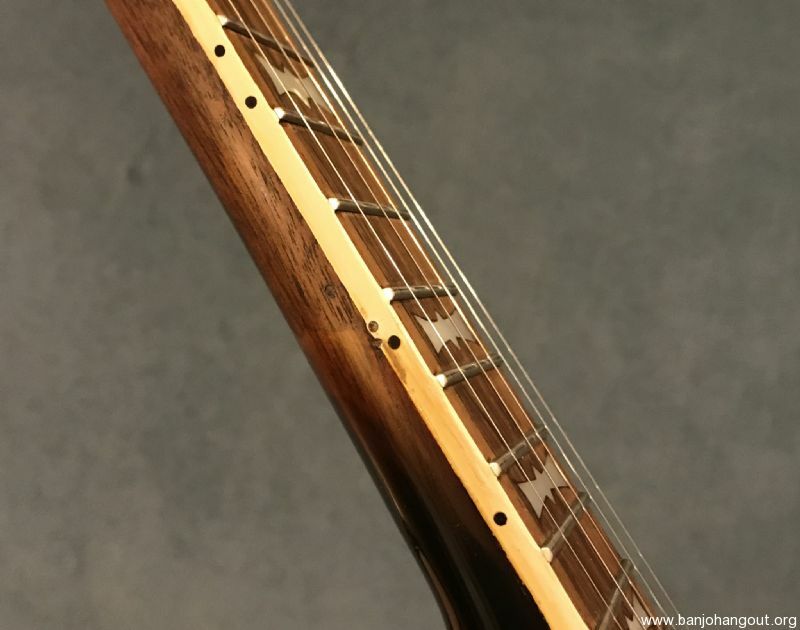 The neck has a very comfortable profile and a speed neck finish. 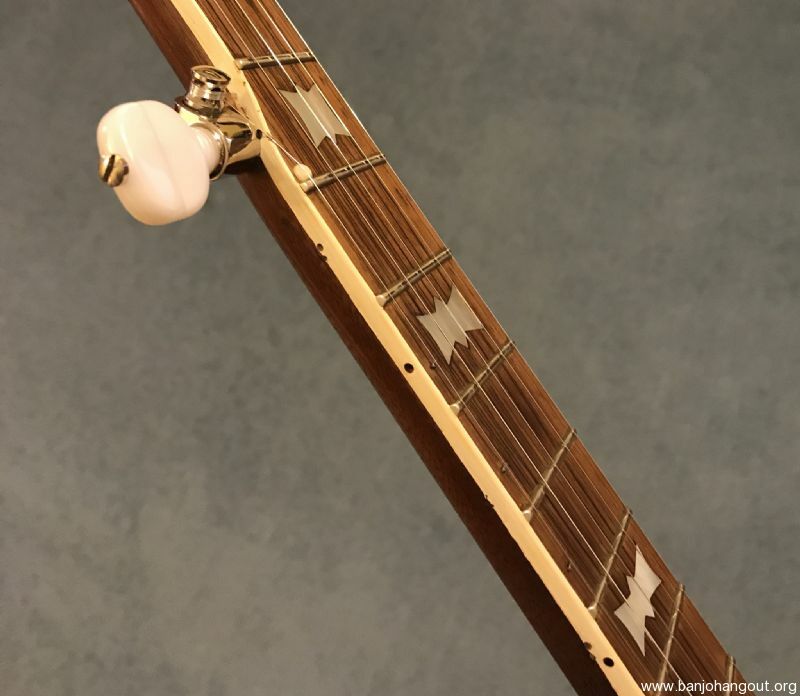 Also the old tuners were replaced with Waverly V-2's and 5th string spikes are installed at 7, 8, and 9th frets. 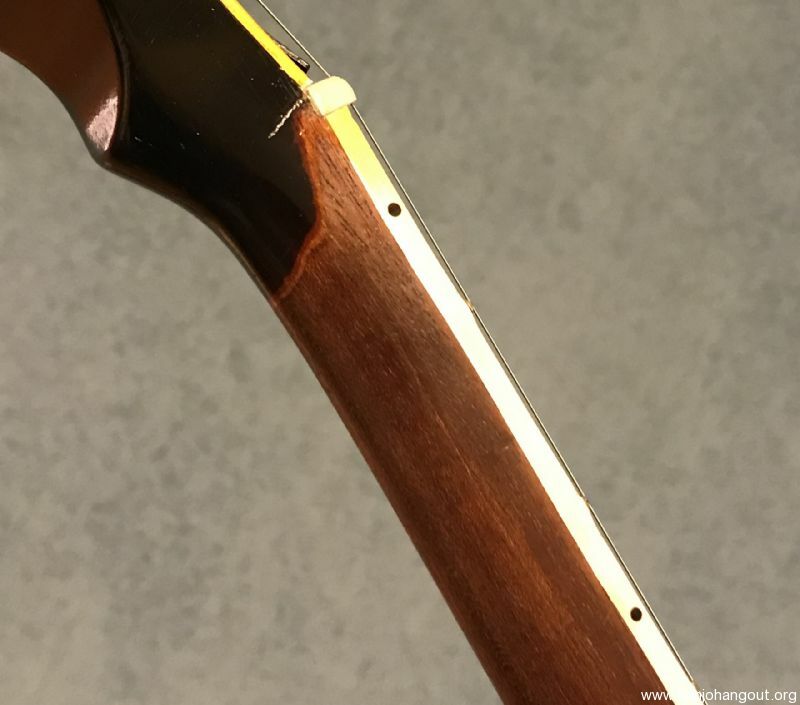 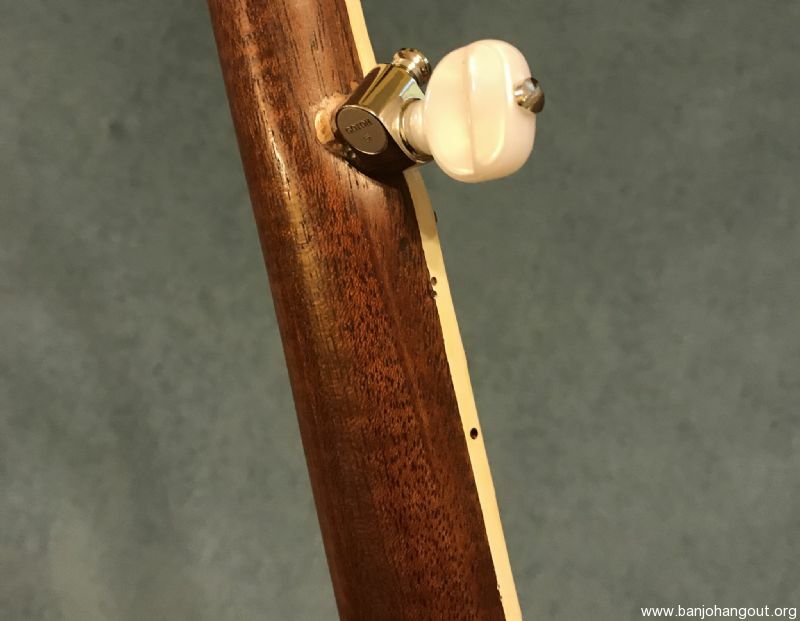 At some point a sliding capo was removed and the holes filled. 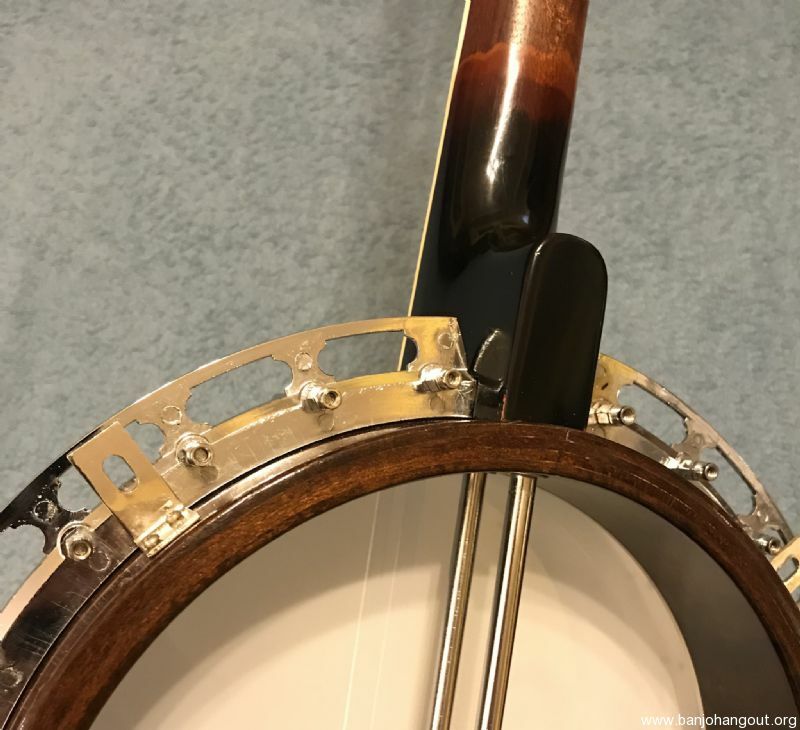 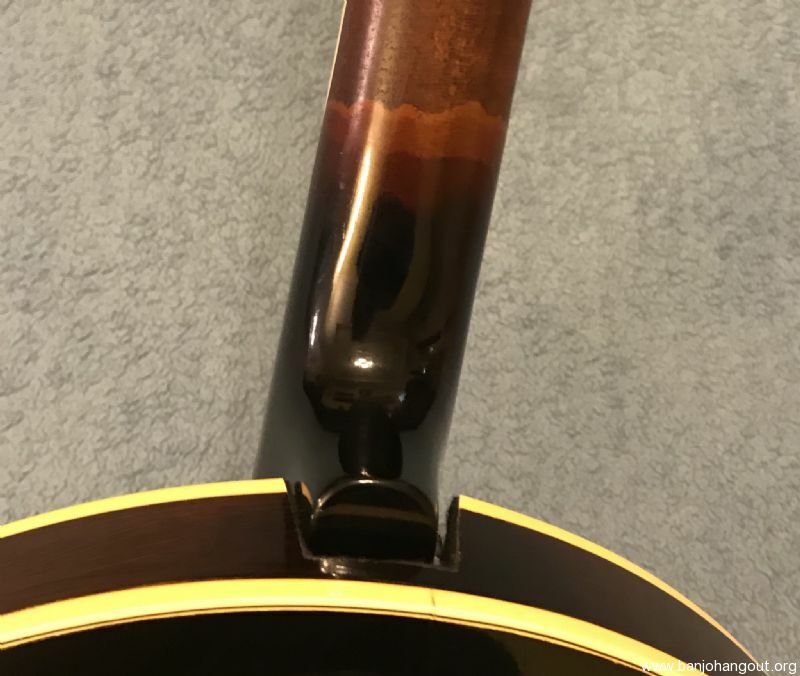 The frets are in great shape and this banjo is rearing to go! 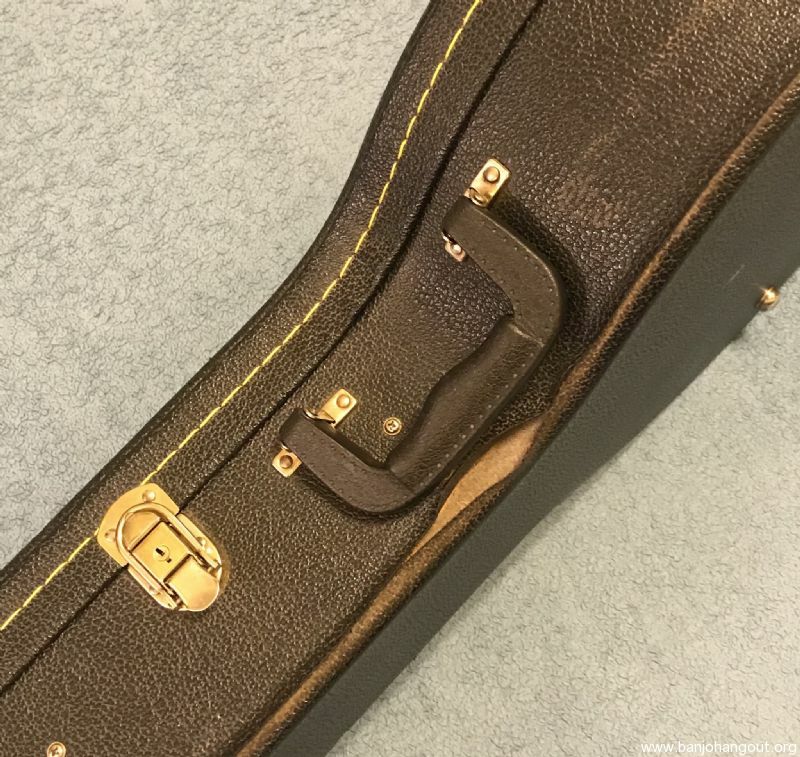 It ships in a black hard case. 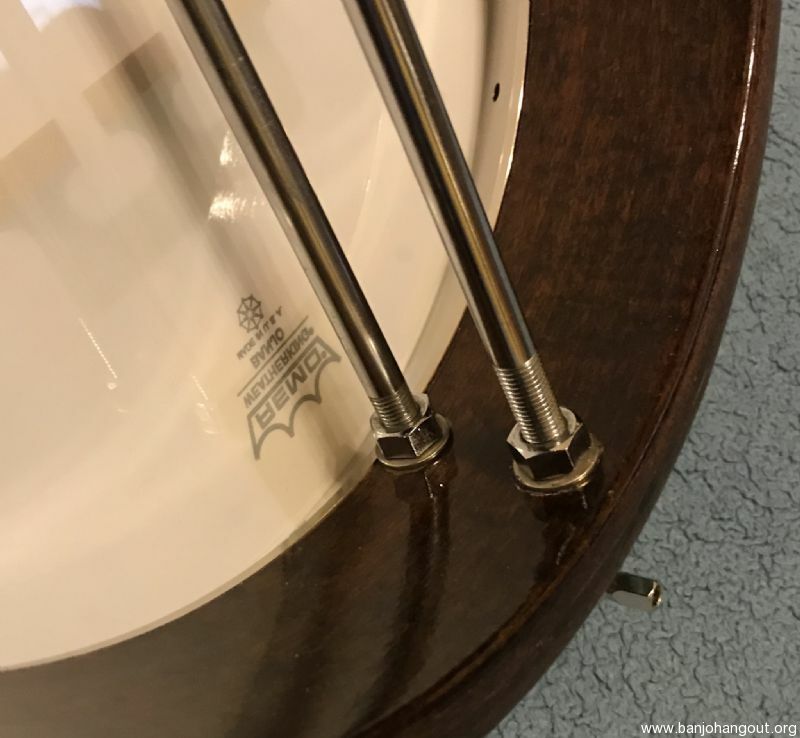 This ad will automatically expire 6/14/2019 1:04:33 PM unless updated before that date. 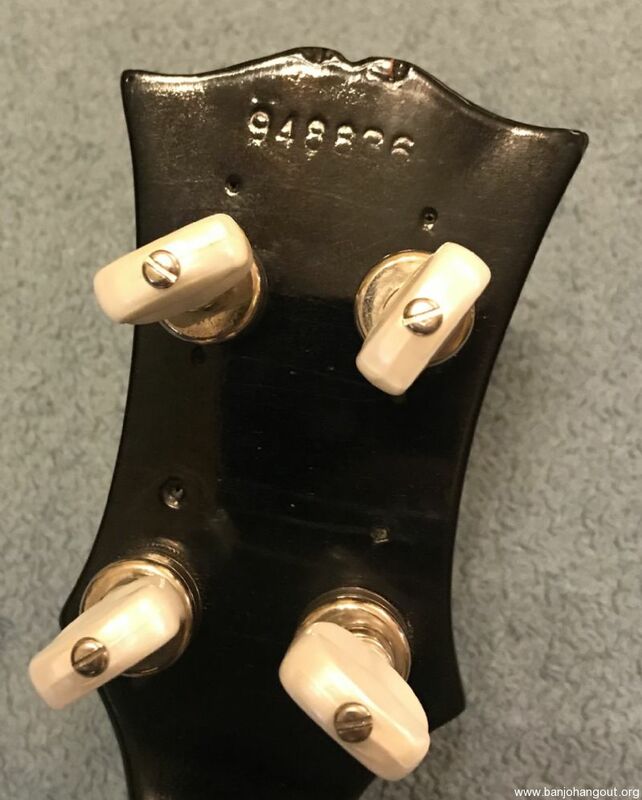 To keep the system current, ads expire if not updated for more than 60 days.